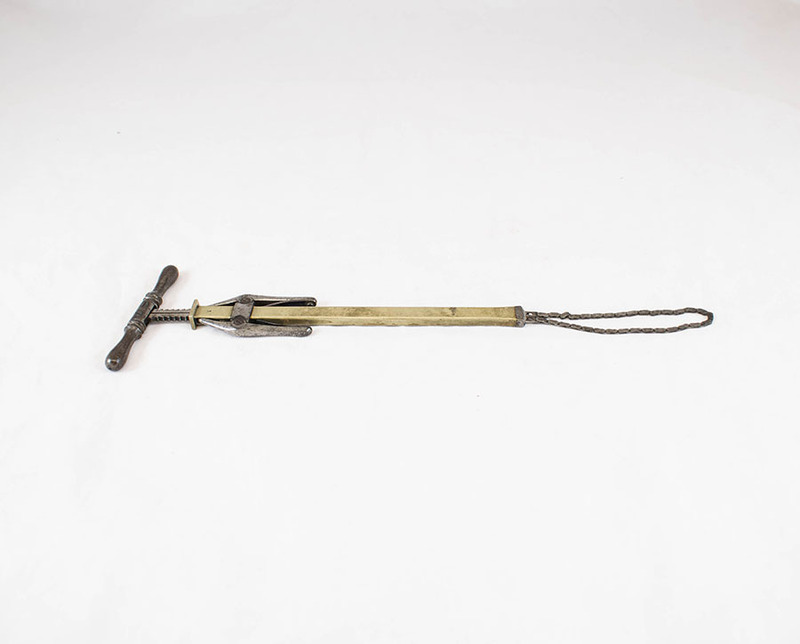 Chassaignac's chain ecraseur, metal, c 1901. 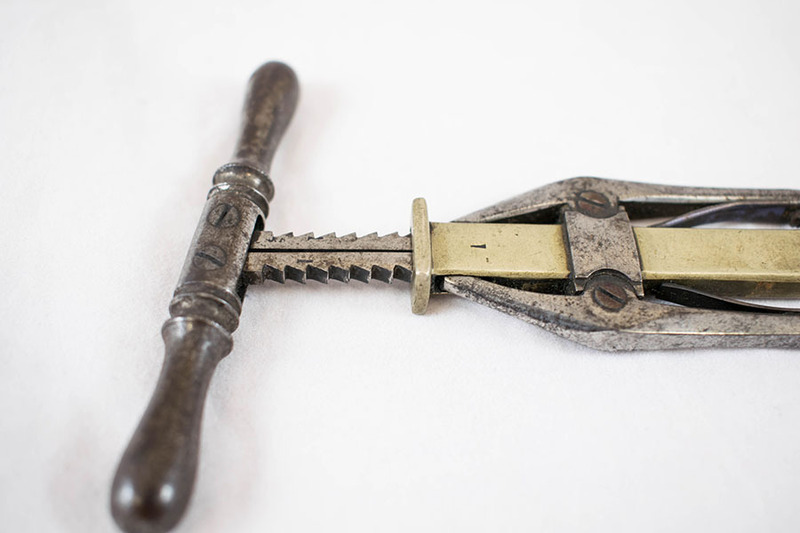 Chassaignac's Ecraseur was used in the field of gynaecology for the removal of fibrous growths in the female reproductive tract. The chain would be looped around the growth and gradually tightened in order to cut off blood flow. This would deprive the growth of oxygen, causing it to fall off. 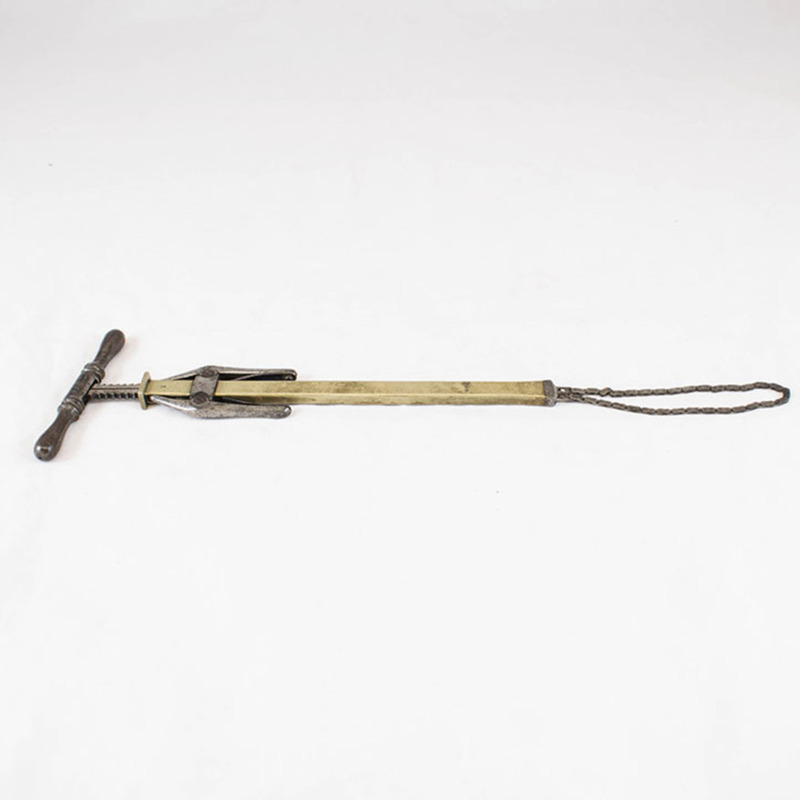 Chassaignac; Edouard (1804-1879); Physician, “Chassaignac's Chain Ecraseur,” Heritage, accessed April 24, 2019, https://heritage.rcpsg.ac.uk/items/show/143. 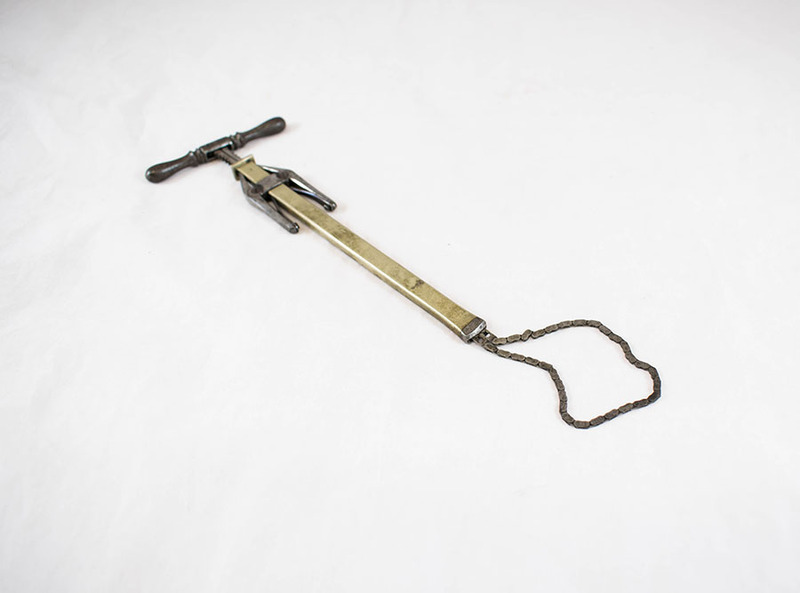 Description: Chassaignac's chain ecraseur, metal, c 1901. 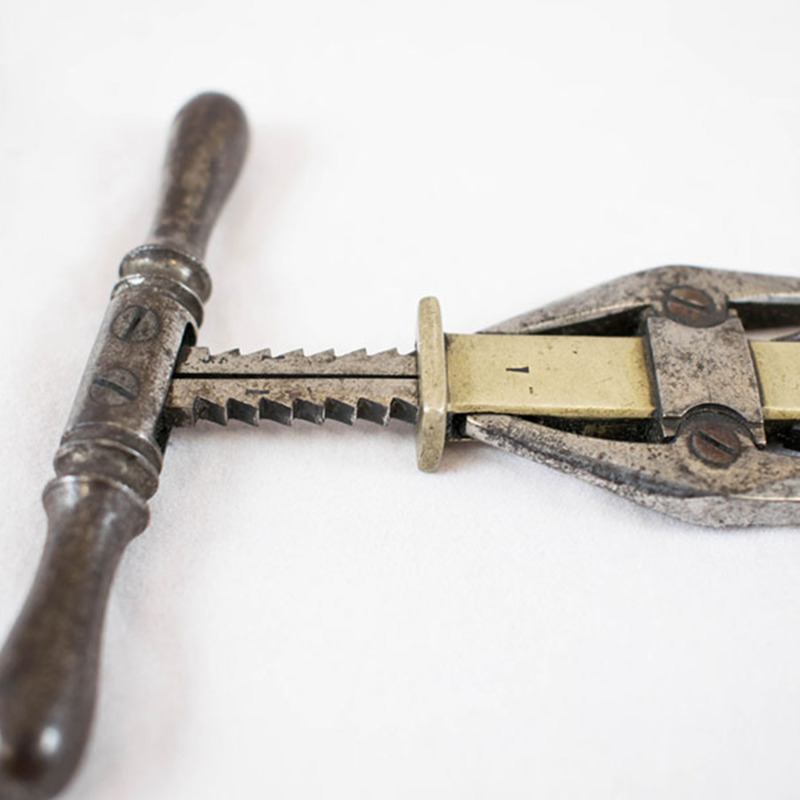 Chassaignac's Ecraseur was used in the field of gynaecology for the removal of fibrous growths in the female reproductive tract. 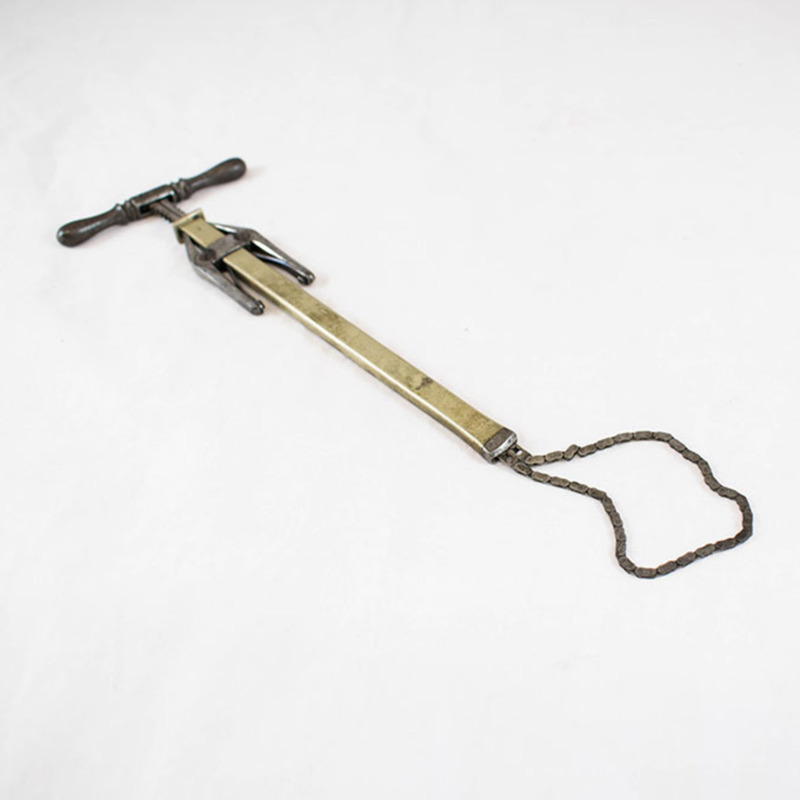 The chain would be looped around the growth and gradually tightened in order to cut off blood flow. This would deprive the growth of oxygen, causing it to fall off.